Associate Professor Linda Bennett is leading an Australian Research Council Discovery Project investigating the social and health system factors impacting women living with cervical cancer in Indonesia. The four-year Australian Research Council (ARC) Discovery Project, is entitled ‘Biographies of vulnerability and resilience: Middle-aged women’s lived experiences of cervical cancer in Indonesia’. Cervical cancer is the fourth most common cancer in women, with an estimated 570,000 new cases diagnosed globally in 2018. In Indonesia, 26 women die from cervical cancer each day, indicating the pressing need to better understand cervical cancer prevention, diagnosis and care to inform the national response. This project investigates the social processes and health system factors that influence women’s vulnerability to and resilience in living with cervical cancer in Indonesia. 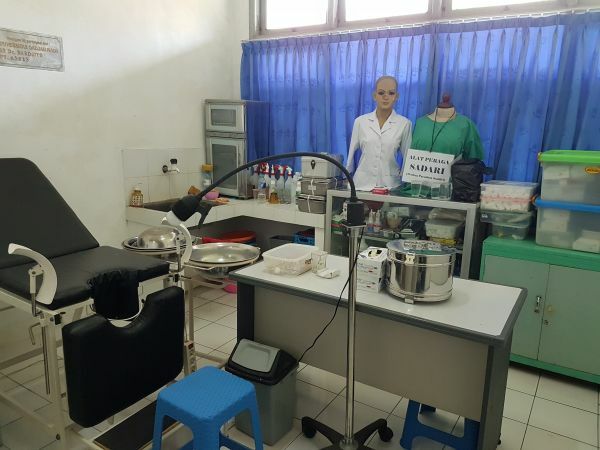 Eighteen months of field work for the project commenced in February 2019, and involves extensive collaboration with Indonesian clinics, hospitals, cancer advocacy and support groups, and partner researchers at the Centre for Reproductive Health at Gadjah Mada University. Key team members at Nossal include Professor Barbara McPake and Belinda Spagnoletti. In Indonesia our collaborators include: Dharmais National Cancer Hospital and dr. Cipto Mangunkusumo Hospital in Jakarta; dr. Sardjito Hospital and Bethesda Hospital in Yogyakarta; the Indonesian Cancer Foundation; the Indonesian Coalition for Cervical Cancer Prevention; and the Indonesian Cancer Information and Service Centre. Image: Cervical cancer screening facility in Yogyakarta.